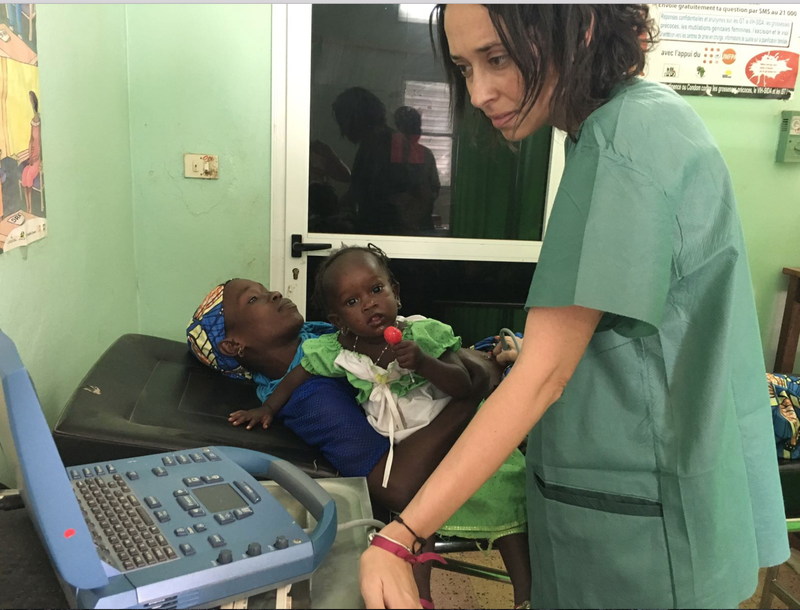 During the Summer of 2017, a group of healthcare professionals – the majority from the Hospital Clínico Universitario Virgen de la Arrixaca (HCUVA) in Murcia, Spain – travelled to Kenya in partnership with the Spanish NGO Cirugía Solidaria. They brought along surgical equipment – from beds to lamps to scalpels – to create a first-rate hospital set-up, most of which was donated by HCUVA. FUJIFILM SonoSite was pleased to support them by supplying an M-Turbo point-of-care ultrasound system for their trip. Angela Cepero, team member and radiologist, provided a summary of the medical mission. "Over the course of two weeks, we carried out over 600 operations, and more than 250 ultrasound scans to support the surgical team. Ultrasound was essential to the work that we did, whether we were picking up diseases, or distinguishing between patients who needed surgical intervention and those who could be treated as outpatients. It is essential for diagnosing cancerous and normal lesions in the breast or thyroid, carrying out nerve blocks, or providing imaging during surgery." Ceprero testified that the Kenyan government and local healthcare professionals were helpful in providing public announcements to allow people in need of care to reach the hospital. From the jungles of Panama to the mountains of Nepal, our Global Health Program helps clinicians bring portable ultrasound to patients and institutions that don't have access to medical imaging due to social conditions, remote locations, or lack of funds. Learn the difference betwween our SoundCaring Program and our SonoSite Global Loaner Program, then apply online or contact us to get involved.